Draft: 2013, Miami Marlins, 2nd rd. Trevor Anthony Williams...Wife's name is Jackie...Has one son; Ike (10/2/15)...Is a 2010 graduate of Rancho Bernardo High School in San Diego, CA, where he earned three varsity letters while also serving as the baseball team's captain during his senior year...Attended Arizona State University, where he earned first-team Pac- 12 All-Conference honors as a sophomore...Tied for first in Division I with 12 wins in 2012 while being the only Pac- 10 pitcher to reach that plateau...Left Arizona State with the sixth-best ERA (3.00) in the aluminum bat era...Wears #34 in honor of former ASU teammate Cory Hahn, who suffered a career-ending injury in 2011...Is the co-founder of Project 34; a non-profit that assists with the purchasing of medical equipment and assistive devices that may not be otherwise accessible to a patient, as well as providing grants to individuals to afford physical therapy for optimal function (projectthirtyfour.com)...Co-hosts a podcast with teammate Steven Brault (@PodcastIMHO). Was the only Major League pitcher to make 10 starts of at least 6.0 innings without allowing a run (Justin Verlander was second with nine such games); was also the first pitcher in team history to do so (since 1908)...Finished seventh among the National League leaders in ERA...His 1.38 ERA after the All-Star break was the second-lowest among all Major League starting pitchers behind Tampa Bay's Blake Snell (1.17) and the second-lowest in Pirates history (since 1933) behind Zane Smith's 1.30 mark in 1990...Went 8-3 with a 1.29 ERA (76.2ip/11er) in his last 13 starts after going 6-7 with a 4.60 ERA (94.0ip/48er) in his first 18 starts thru 7/6... Had a career-high 21.0 scoreless innings streak between 7/11 and 8/5 and a 20.2 scoreless innings streak between 8/22 and 9/10; was one of only two pitchers in the Majors with two separate streaks of at least 20 scoreless innings in 2018 (also Masahiro Tanaka)...Was the starting pitcher in nine of the team's 16 shutouts...Started the second game of the season on 3/31 at Detroit and pitched 6.0 hitless innings in a 1-0 victory...Won each of his first three decisions and four of his first five thru 4/28...Surrendered just one home run in his first six starts (35.1ip) before giving up two each in his starts on 5/3 at Washington and 5/9 at Chicago (AL)...Tossed 7.0 scoreless innings while winning his fifth game on 5/15 vs. Chicago (AL)...Was charged with four runs or more in each of his next five starts (21.0ip/25r/20er), inflating season ERA from 2.72 to 4.38...Gave up one run in 7.0 innings while winning a 1-0 decision on 6/18 vs. Milwaukee....Was charged with a total of nine runs in consecutive starts on 6/30 at San Diego (4.2ip/4er) and 7/6 vs. Philadelphia (2.1ip/5er)... Was credited with his first Major League shutout in a rain-shortened 7-0 win over Corey Kluber at Cleveland on 7/23 (6.0ip); the first Pirates pitcher to throw a shutout of less than 9.0 innings since Paul Wagner on September 14, 1993, at Florida (6.0 innings)...Pitched 7.0 scoreless innings in a 5-0 win over Jacob deGrom and the Mets on 7/28 at PNC Park...Struck out a career-high eight batters while tossing 6.0 scoreless innings and picking up his 11th win on 8/29 at St. Louis...Allowed just four runs in 54.2ip (0.66 ERA) over a nine-start stretch from 7/11 thru 9/3; his 0.66 ERA in that time was the lowest in Pirates history (since 1913) for any pitcher over a nine-start stretch, eclipsing the 0.70 ERA by Steve Blass in 1968...Gave up four runs in the fourth inning on 9/10 at St. Louis (5.0ip/4er) in a no-decision...Posted a 0.86 ERA (41.2ip/4er) at PNC Park from 7/11 thru the end of the season (seven starts)...Recorded a 1.00 ERA (71.2ip/8er) over a 12-start span between 7/11 and 9/22; the lowest ERA ever for a Pirates pitcher over a 12-start span within one season (since ERA has been compiled in the N.L. since 1912)...Went 5-for-43 (.116) with six sac bunts at the plate. 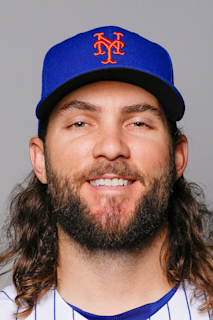 Established single-season professional highs in innings pitched and strikeouts...Ranked third among all National League pitchers (minimum: 150.0ip) with a 0.84 HR/ per 9.0ip ratio behind Stephen Strasburg (0.67) and Jimmy Nelson (0.82)...Ranked first in ERA, fourth in innings pitched and fourth in strikeouts among National League rookie pitchers with at least 100.0ip...His 117 Ks were the most by a Pirates rookie pitcher since Paul Maholm whiffed 117 in 2006...Posted a 2.55 ERA (60.0ip/17er) in his last 10 home assignments and produced a 3.24 ERA (80.2ip/29er) in his 14 starts overall at PNC Park, giving up two runs or less in 10 of the 14 starts...Surrendered just two runs in his last 26.0 innings pitched at PNC Park (four starts)...Made Pittsburgh's Opening Day roster as a member of the bullpen...Made season debut in sixth team game on 4/9 vs. Atlanta and tossed 2.0 scoreless innings...Pitched a scoreless inning and recorded his second career win on 4/15 at Chicago... Pitched 4.0 innings of relief (69 pitches) and went 0-for-2 at the plate on 4/24 vs. Chicago (NL)...Suffered loss on 4/30 at Miami (0.2ip/1er)...Made his first start of the season on 5/8 at Los Angeles and gave up eight runs (six earned) in 3.0ip while suffering the loss...Was victorious in his next start on 5/13 at Arizona (5.0ip/1er); retired the final 12 batters he faced...Pitched 7.0 innings and gave up just one run while winning an 11-1 decision on 6/4 at New York (NL)...Struck out a career-high seven batters on 6/21 at Milwaukee...Also whiffed seven while pitching 7.0+ innings on 6/27 vs. Tampa Bay...Pitched into the seventh inning on 7/2 vs. San Francsico, but came away with a no-deicsion; left the game with a 2-0 lead and runners on second and third and no outs...Singled off St. Louis' Carlos Martinez on 7/16 at PNC Park for first big league hit; had gone 0-for-22 to start his career - the longest such streak for a Pirates player since Sean Burnett went hitless in his first 25 at bats...Gave up just one hit while tossing 7.0 scoreless innings on 8/7 vs. Detroit...Threw a careerhigh 114 pitches in a career-high 8.0 scoreless innings on 8/23 vs. Los Angeles; opposed Rich Hill, who took a perfect game into the ninth inning and lost his no-hit bid on Josh Harrison's walkoff homer in the 10th inning...Pitched 7.0 scoreless innings while winning a 3-1 decision on 9/3 vs. Cincinnati...Posted a 2.02 ERA (35.2ip/8er) in his last six starts; the third-lowest ERA in the National League behind Stephen Strasburg (0.57) and Kyle Hendricks (2.00), dating back to 8/23...Went 2-for-41 (.048) with two walks and four sacrifice bunts at the plate...Collected his hits in back-to-back games on 7/16 and 7/21...Went hitless in his first 21 at bats to start the season and went hitless in his last 16 at bats. Spent majority of season with Triple-A Indianapolis, where he was named the club's Most Valuable Player...Suffered a right shoulder strain nine pitches into his season debut on 4/10 at Columbus and missed six weeks of action in April and May with right shoulder discomfort...Made one rehab start with High-A Bradenton on 5/22 and tossed 5.0 scoreless innings for the win...Returned to Indianapolis and lost three straight starts from 5/28 thru 6/7...Produced a 6-1 record in seven starts from 6/18 thru 7/21 and allowed just one run overall in four starts from 7/3 to 7/26 (28.0ip)...Went 4-1 with a 0.98 ERA (36.2ip/4er) in six starts during the month of July...Posted the International League's lowest ERA (1.50) from 6/28 thru the conclusion of the season...Struck out a career-high 10 batters in his final Triple-A start on 9/1 vs. Louisville (game 1)...Went 10-6 with a 2.42 ERA (115.1ip/31er) in a total of 21 minor league games (20 starts)...Made his Major League debut with the Pirates on 9/7 vs. St. Louis and picked up his first big league win; gave up one unearned run in 3.0 innings of relief during Pittsburgh's 5-3 victory... Suffered first loss in his second outing on 9/10 vs. Cincinnati (1.0ip/3er)... Made his first Major League start on 9/17 at Cincinnati (game 2) and received a no-decision (4.0ip/3er)...Walked with the bases loaded on 9/17 and picked up his first Major League RBI...Finished season making four relief appearances (4.2ip/5er) between 9/22 and 10/2...Went 0-for-1 with two walks and an RBI while batting with the Pirates. Entered season ranked as Miami's seventh-best prospect according to Baseball America...Finished third among all Marlins farmhands in strikeouts (101) and seventh in ERA (3.85)...Posted a 7-10 record and a 3.85 ERA (131.0ip/56er) in 25 combined appearances (24 starts) between Double-A Jacksonville and Triple-A New Orleans...Began season with Jacksonville...Struck out a season-high nine batters over 6.0 scoreless innings, but had a no-decision on Opening Day on 4/9 vs. Jackson...Lost six straight starts from 4/21 to 5/18...Tossed 6.1 scoreless innings while earning his first win on 5/24 vs. Mississippi...Went 3-0 with a 1.04 ERA (26.0ip/3er) over four starts from 5/24 to 6/9...Made lone relief appearance on 6/28 vs. Biloxi...Worked 6.0 scoreless innings in back-toback starts on 7/4 and 7/9...Won third straight start on 7/15 after allowing one run in 6.0 innings...Surrendered one run over 7.0 innings while winning final start with Jacksonville on 8/16 at Jackson...Started and lost (3.0ip/4r/3er) Triple-A debut on 8/23 vs. Las Vegas...Allowed one run over final two starts (11.0ip) to end the season...Was acquired by the Pirates on 10/24 while pitching as a member of the Mesa Solar Sox in the Arizona Fall League...Posted a 1.23 ERA (7.1ip/1er) in six relief appearances for the Glendale Desert Dogs after being acquired by Pittsburgh ...Worked 1.0 scoreless inning of relief for the West Division in the Arizona Fall League Fall Stars Game on 11/7. Went 8-7 with a 3.81 ERA (144.0ip/50er) in a career-high 26 total starts between Jupiter (Marlins' High-A) and Jacksonville...Was named to the Florida State League's mid-season All-Star (tossed 1.0 scoreless inning of relief for the South Division at McKechnie Field in Bradenton)... Recorded a 6-4 record and a 2.36 ERA (76.1ip/20er) prior to the All-Star break...Surrendered first home run in his 12th start on 6/2 vs. Dunedin; was also the first home run he allowed in his professional career...Was promoted to Jacksonville on 8/21. Posted a combined 2.38 ERA (34.0ip/9er) while making a total of 12 starts between the GCL Marlins, Batavia and Greensboro during first professional season...Spent majority of season with Batavia and ranked third in the Florida State League with a 2.48 ERA (Bradenton's Tyler Glasnow led the way with a 1.74 ERA). September 6, 2016 Pittsburgh Pirates selected the contract of RHP Trevor Williams from Indianapolis Indians. June 28, 2016 Indianapolis Indians activated RHP Trevor Williams from the temporarily inactive list. June 25, 2016 Indianapolis Indians placed RHP Trevor Williams on the temporarily inactive list. May 27, 2016 RHP Trevor Williams assigned to Indianapolis Indians from Bradenton Marauders. May 22, 2016 RHP Trevor Williams assigned to Bradenton Marauders from Indianapolis Indians. April 16, 2016 Indianapolis Indians placed RHP Trevor Williams on the 7-day disabled list retroactive to April 14, 2016. April 6, 2016 RHP Trevor Williams assigned to Indianapolis Indians. January 4, 2016 Pittsburgh Pirates invited non-roster RHP Trevor Williams to spring training. October 24, 2015 Pittsburgh Pirates traded RHP Richard Mitchell to Miami Marlins for RHP Trevor Williams. October 24, 2015 RHP Trevor Williams assigned to Glendale Desert Dogs. August 22, 2015 RHP Trevor Williams assigned to New Orleans Zephyrs from Jacksonville Suns. August 6, 2015 Jacksonville Suns activated RHP Trevor Williams from the 7-day disabled list. January 21, 2015 Miami Marlins invited non-roster RHP Trevor Williams to spring training. August 21, 2014 RHP Trevor Williams assigned to Jacksonville Suns from Jupiter Hammerheads. March 31, 2014 RHP Trevor Williams assigned to Jupiter Hammerheads from Greensboro Grasshoppers. August 30, 2013 RHP Trevor Williams assigned to Greensboro Grasshoppers from Batavia Muckdogs. June 27, 2013 Trevor Williams assigned to Batavia Muckdogs from GCL Marlins. June 21, 2013 Trevor Williams assigned to GCL Marlins. June 20, 2013 Miami Marlins signed RHP Trevor Williams.